2.Q: What is your warranty condition and how is your warranty claim procedure9 A . Warranty period is 12 months from delivery date or installation date. 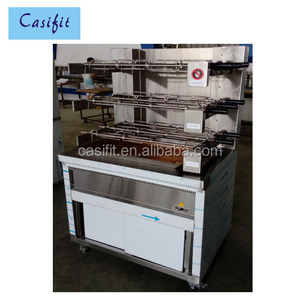 Within the warranty period, no cost necessary for spare parts if approved by us. 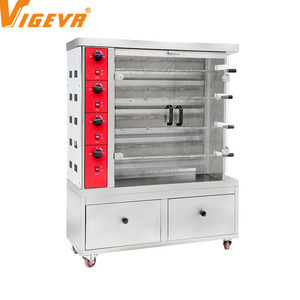 Alibaba.com offers 3,303 gas chicken rotisserie products. About 36% of these are rotisseries, 10% are bbq grills, and 2% are meat product making machines. 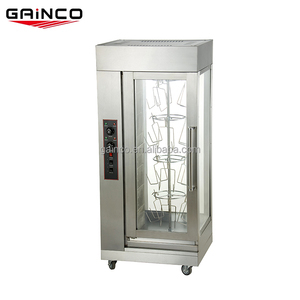 A wide variety of gas chicken rotisserie options are available to you, such as ce, cb, and gs. You can also choose from free samples, paid samples. 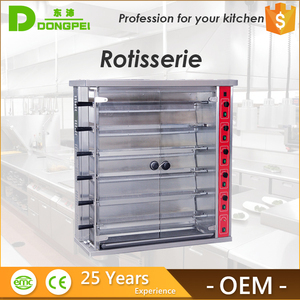 There are 3,238 gas chicken rotisserie suppliers, mainly located in Asia. The top supplying countries are China (Mainland), Taiwan, and Turkey, which supply 98%, 1%, and 1% of gas chicken rotisserie respectively. 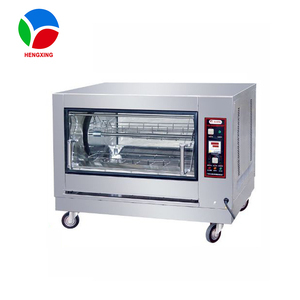 Gas chicken rotisserie products are most popular in Southeast Asia, Mid East, and North America. You can ensure product safety by selecting from certified suppliers, including 448 with ISO9001, 95 with Other, and 54 with ISO14001 certification.